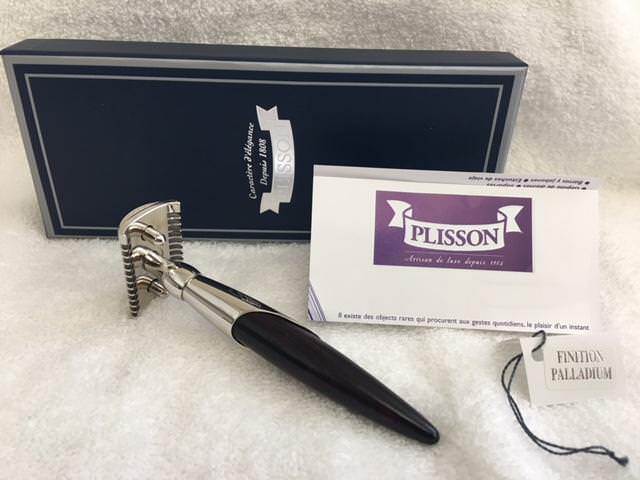 This is the 'Odyssey' by Joris / Plisson of France. 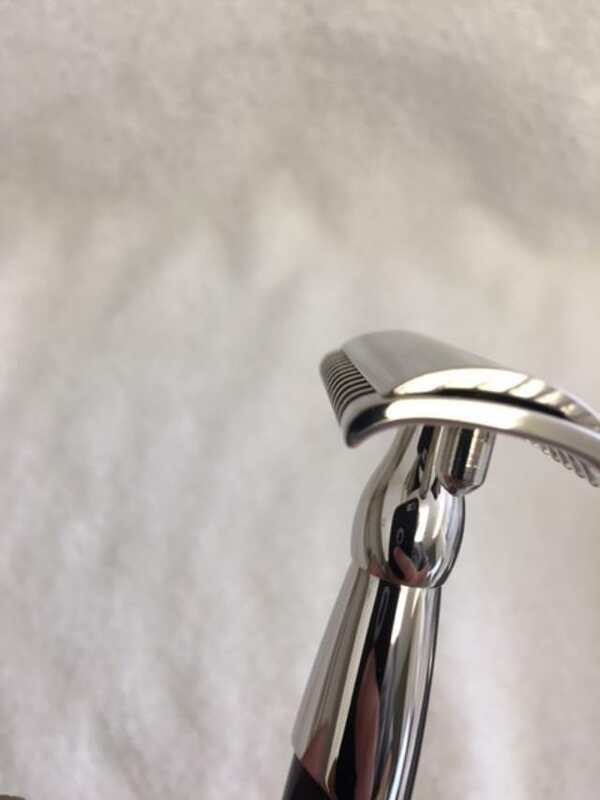 All of the metal is finished in Palladium, and the handle is solid Palisander wood. 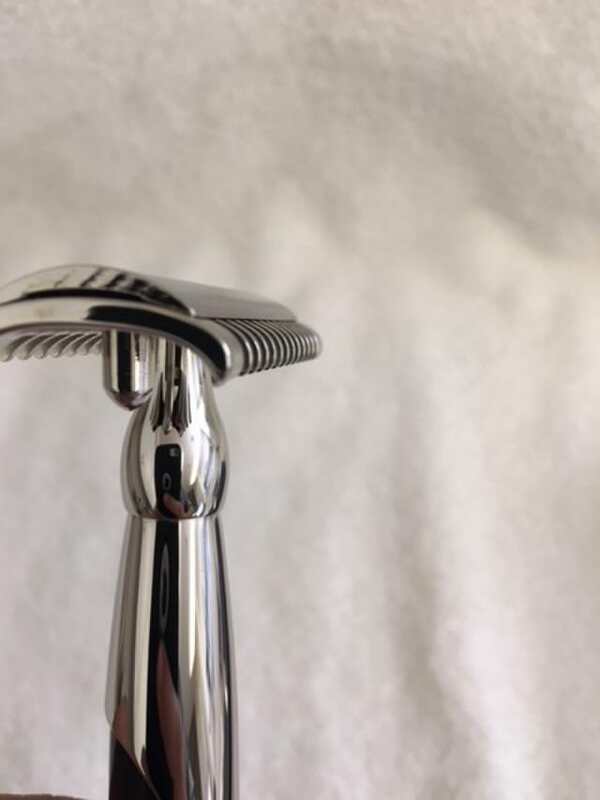 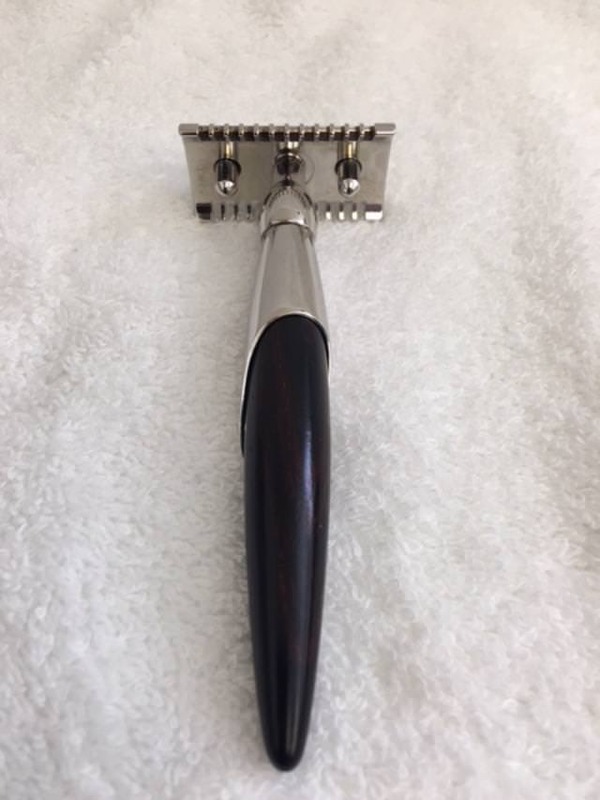 The balance of this razor is fantastic with a slight more 'head-weight' that assists in the smoothness of the razor in letting the razor "do the shaving". 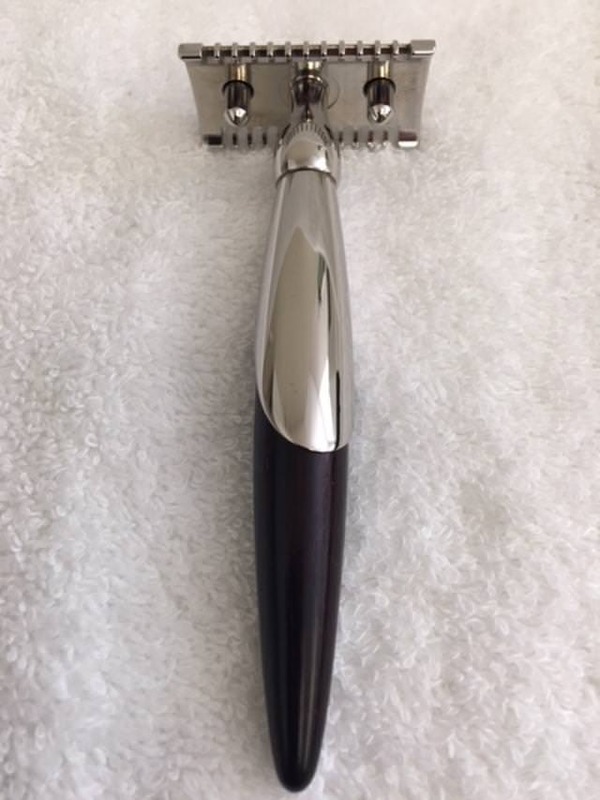 It has been used once or twice and is a phenomenal shaver but just does not get the love from me that it should. 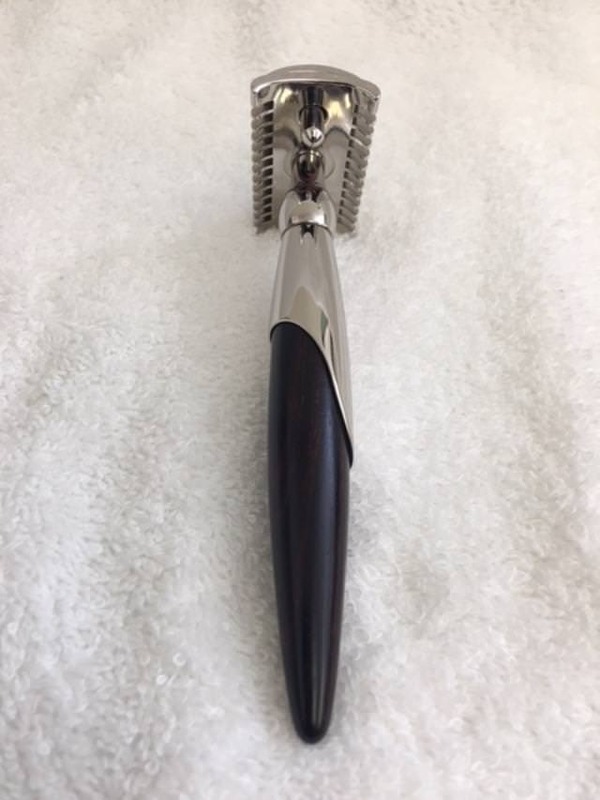 This 3 piece razor has a "Dual Comb Angle" head - one side is short-combed (for a slight more aggressive shave) and the other side is long-combed for a more medium to mild shave (see photos). 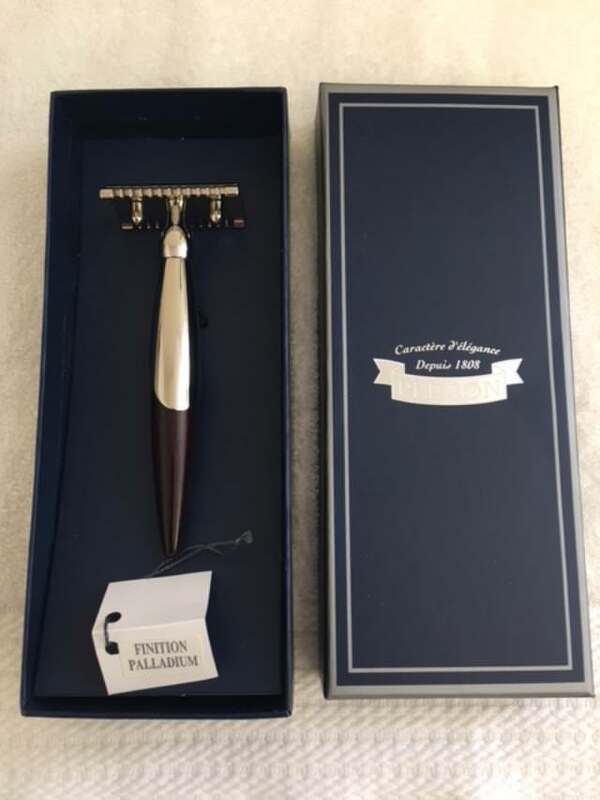 This razor is in Mint perfect condition and comes in its original box. 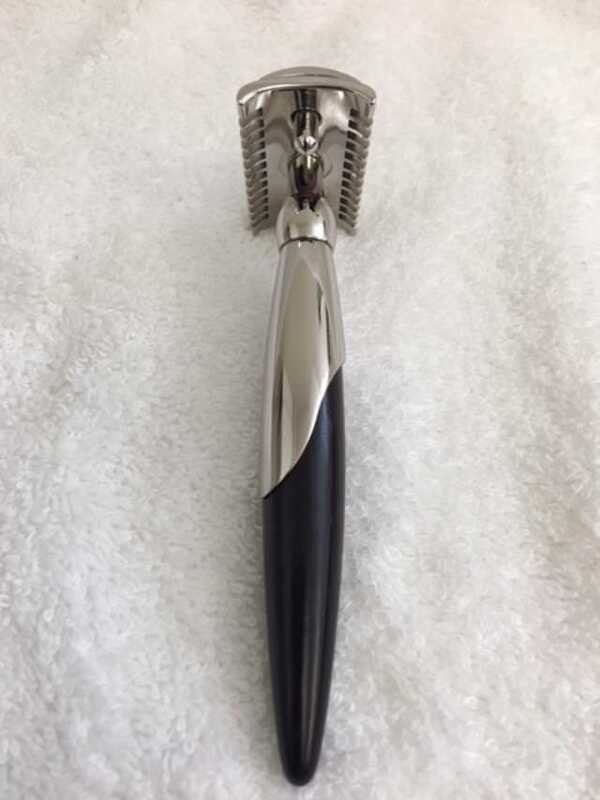 These normally go for about $165 - $170 shipped.